Nd:YAG laser; long pulse laser; fibre-optic beam delivery; axial gradient index lens; beam quality. Most of today’s industrial Nd:YAG lasers use fibre-optic beam delivery. In such lasers, fibre core diameter is an important consideration in deploying a beam delivery system. Using a smaller core diameter fibre allows higher irradiances at focus position, less degradation of beam quality, and a larger stand-off distance. 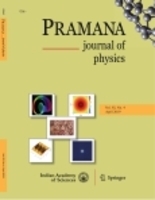 In this work, we have put efforts to efficiently deliver the laser output of ‘ceramic reflector’-based long pulse Nd:YAG laser through a 200 𝜇m core diameter optical fibre and successfully delivered up to 60 J of pulse energy with 90% transmission efficiency, using a GRADIUM (axial gradient) plano-convex lens to sharply focus down the beam on the end face of the optical fibre and fibre end faces have been cleaved to achieve higher surface damage thresholds.